Also, your focus turns more on money matters and whatever makes you feel strong and secure. There may be some good luck there, too, but most of it is the result of your efforts, current and previous ones. Work hard, and the benefits will come. Good thing is, the Sun in your zodiac gives you enough energy and enthusiasm to do just that. 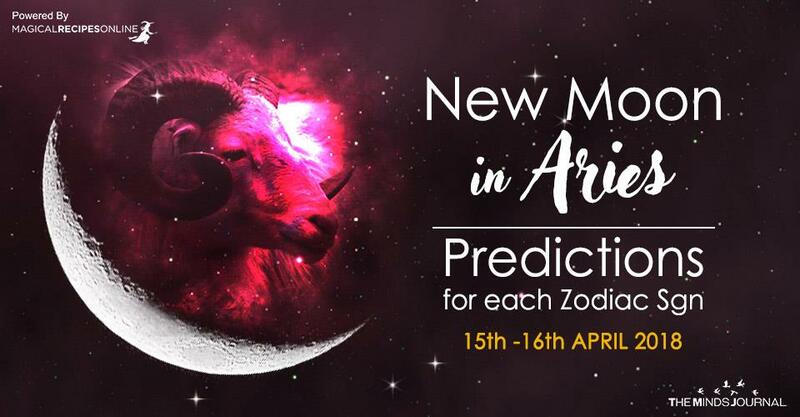 This is quite an important New Moon and waxing Moon period for you. There was quite some time since there was any planetary focus on you zodiac, and now Venus, very active, enters it. So, expect things to change. Even more, expect them to change in a good way, too. Of course, not everything will be pleasant and easy-going, but, overall, this is going to be a good and successful period for you. Money and work receive some of the blessings of the period, but the focus of the energies is on whatever you consider important and a source of true happiness. So, keep your mind and your actions there. Magical and spiritual powers are also very strong for you during this period. Energy forms of healing are strong for everyone, and even more for you. This affects learning, practicing and receiving such healing. Those working in the field of such healing, those working with other spiritual and magical practices, as well as those who want to start working in such line of work will have a good period. Also, all artists, and even more those of the active arts, will have a good period. Both creativity, and making yourself known to the public are strong for you. Work and career seem to advance nicely during this period. This doesn’t necessarily mean without any problem, but if problems occur, you’ll be able to overcome them easily. Even more, these problems can guide you to an even better professional success. Business partners, if you have any, can have a more active role in your life. Once again, this will end up being beneficial, but it can become a hassle will it’s happening. If you are looking for a partner, or something alike, now you have a good period to find one. Social life is strong, too. Although the odds are this will be a good and pleasant thing, overall, it can appear to be a stressful and unpleasant experience, in the same time. The better you’ve taken care of this part of your life until now, the better the experience and the situations will be during this period. Also, internet socialization, internet social media activity, as well as all forms of advertising also fall under the same influence. In most cases, though, there will be better and more successful. “Awakening” profiles and pages you have abandoned receives support. Building up new such profiles and pages also receives support. Whether this is for personal or professional reasons, work on these now, and you’ll enjoy the benefits for some time, even if working on them now seems a very troublesome thing to do.